Construction of the first of six residence halls planned for Colorado Northwestern Community College’s Craig campus, pictured here, is on hold in the wake of sparse state funding. The project is scheduled to resume in the next year or two, Campus Vice President Gene Bilodeau said. • Plans to build student housing at Colorado Northwestern Community College’s Craig campus are now on hold. • Campus vice president: A shortage in state funding required officials to delay construction of the 5,088-square-foot building. • The first of six planned residence halls is projected to cost between $1.2 million and $1.5 million. • The project is expected to resume in the next year or two. The first marketing plan for Colorado Northwestern Community College’s Craig campus is in the works to draw students from around Moffat County and the Yampa Valley, Campus Vice President Gene Bilodeau said. This spring, college officials contracted Dan Minor, former Craig campus dean of instruction, as a marketing consultant to complete the project. “It served a wonderful purpose because oftentimes you hire a marketing group to come in (and) they have really no feel for the community or the institution,” Bilodeau said. The marketing blueprint will fit into CNCC’s overall plan and will emphasize programs, classes and community education offered at the Craig campus. It’s designed to “encourage area citizens to take advantage of the good educational opportunities there in Craig,” said Minor, a Lamar resident who ran a now-defunct advertising and graphic design business in southeastern Colorado. The plan is due out this summer. “I’m hoping to have it finished no later than mid-July and hopefully before that,” Minor said. College students who hoped to move into new student housing in Craig this year shouldn’t start packing just yet. Plans to build a residence hall at Colorado Northwestern Community College’s Craig campus are on hold for another year or two, Campus Vice President Gene Bilodeau said. “We’ve had to hold off now just given the budget climate and some of the other needs of the institution,” he said. Bilodeau and CNCC President Russell George discussed the postponement with CNCC Board members Thursday. College officials made headway on the 5,088-square-foot building before it was delayed. 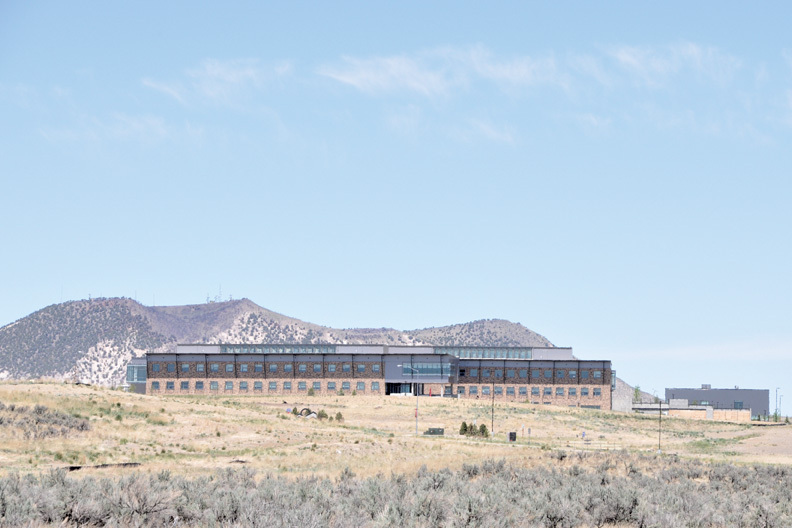 Thira, Inc., a Steamboat Springs-based firm, and Grand Junction-based Shaw Construction were contracted in January as the project’s architect and general contractor, respectively. The companies are no longer under contract with CNCC, but that doesn’t mean they’re out of the running. “We’ve paid them for their goods and services up to this point, and now we have them on hold until we’re ready to take the next step,” Bilodeau said. The building, the first of six similar-sized residence halls in the Craig campus master plan, was initially earmarked to cost up to $1.125 million, but more recent estimates indicate it will cost between $1.2 million and $1.5 million “to build what we really want to build,” Bilodeau said. The project will go back to the CNCC Board for final approval once it moves forward, he said. Student housing is still a key piece of the campus’ long-range plans. “I did emphasize that we know that the residence halls are very important to the growth of the Craig campus,” Bilodeau said, referring to his report to the board. But meager state funding made operating within budget a more immediate concern. “Over the past several years, we’ve seen our support from the state dwindle, and we’ve had to use our reserves to go about doing our daily business,” Bilodeau said. A loan, its amount offset by fundraising, will pay for the residence hall, which is designed to be self-supporting, he said. Adding student housing to the Craig campus is a personal goal for Richard Haslem, CNCC Board secretary. “That’s something I’d very much like to see for the continued growth of the college,” he said. Haslem said he envisions student housing, coupled with top-notch programs, attracting students from around the state and nation. “I think we have a tremendous asset here in Craig with the new campus … and I see (it as) something that’s very beneficial to the community,” he said. Bridget Manley can be reached at 875-1793 or bmanley@craigdailypress.com.